Hair fall is a very common cosmetic problem all over the world. From puberty hair fall may arise. Every people should be very much concerned about hair fall. Before thinking about hair fall prevention one must think about the causes of hair fall. The main causes of hair fall are genetic factor, androgen hormone, depression, emotional stress. Poor nutrition, various diseases like cancer, lupus, diabetes, and thyroid disease as well as some drugs like chemotherapy, drugs of heart disease cause hair fall. Skin diseases of scalp are also responsible for hair fall. One should avoid constant heating and drying procedures. Heat weakens hair proteins, constant heating and drying can lead to brittleness and fragility that causes hair fall. Minimizing the usage of hair dryer, hot brush, hair fasteners, hot curlers, hair straighteners, and chemical treatments may cause hair to last longer. To be precise, natural drying is best for hair, so one should dry his/her hair naturally more often than drying it with heat. One should avoid dyeing as much as possible. Never color your hair more often than 6 – 8 weeks and try for semi-coverage rather than full dyeing. Some people think that tying hair tightly makes hair long. But this is totally wrong. Rather it may cause hair fall. So what is your hairstyle and what are you using to tie your hair is important. Wash your hair regularly with mild shampoo and be gentle with your hair. Regular use of shampoo repeals dandruff which is very important to prevent hair fall. 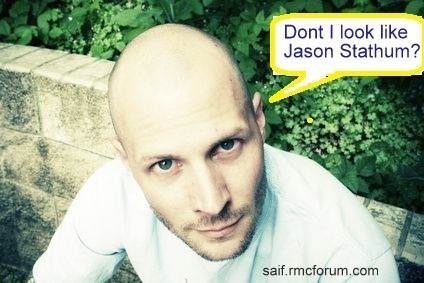 If you can suppress dandruff, becoming bald will be postponed for about 10 years. Avoid layering cuts because it loses a lot of your hair. Do not brush your hair too frequently. And avoid brushing your wet hair as it snaps off lots of hair that could be still be growing. If you have no other way but to comb wet hair, use wide toothed comb. Avoid rubbing hair vigorously with a towel after washing it. This can also lead to hair breakage. Pat it dry gently instead. Protein-enhanced shampoos and conditioners are nothing but an eye-trick, not a hair solution. They make hair smoother and thicker temporarily because they fill in gaps on the hair shaft but they do not repair damaged hair. Use a soft-bristled brush to brush dry hair. One should control his/her stress in order to prevent hair fall. Adequate sleep is necessary to restore good health and to control hair fall. Take nutritious food balanced diet. Following nutritional elements are needed to prevent hair fall. Protein: Protein is essential to prevent hair fall, but this protein must be from the diet, not from a shampoo, that matters! Good sources of protein include: beef, fish, seafood, white-meat poultry, milk, cheese, yogurt, eggs, beans, soy, lean beef, tofu, whole-wheat bread, peanut butter, brown rice, lentils, quinoa, nuts, beans, broccoli, etc. Vitamin C: Vitamin C foods help in the good absorption of iron. Good sources of vitamin C include: Citrus fruit, green leafy vegetables, salad, baked potatoes, tomatoes, etc. Omega-3 fatty acids: Good sources include: tuna, salmon, mackerel, flaxseeds, and walnuts. Zinc: Good sources include: oysters, lean beef, peanut butter, turkey, and pumpkin seeds. Biotin: This is a B vitamin. Good sources of biotin include: brewer’s yeast, bulgur wheat, lentils, sunflower seeds, soybeans, and walnuts. Avoid low calorie liquid diets and raw egg whites as they enhances hair fall. One can take supplements to prevent hair fall. The types of supplements include biotin, inositol, iron, vitamin C, zinc and saw palmetto. 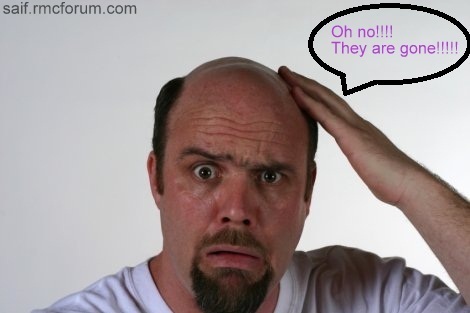 One should undergo some hair thinning tests only to see whether his/her hair is becoming thin or not. If hair fall already occurs, treatment must be taken as soon as possible. There are some medicines that prevent hair fall/hair loss, such as minoxidil, finasteride. Finasteride is used only for men. Minoxidil spray is very effective for hair gain. These drugs should be taken according to doctor’s advice. HRT is another option as treatment of hair fall. It may work for some women. However, you need to discuss the ins and outs of taking HRT with your doctor. If medical treatment fails you may need surgical treatment. Get a hair transplant. 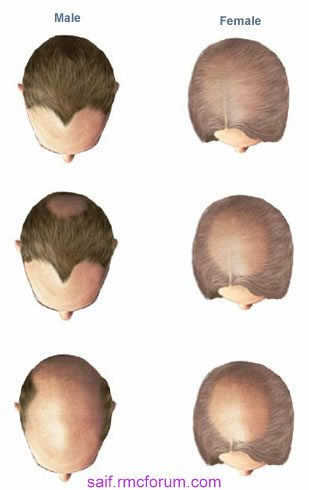 Micro-transplants are commonly performed for male-pattern baldness. This consists of small transplants of one or two hairs at a time and it appears very natural. One can try hair restoration surgery. This is the transplantation or redistribution of hair. Hair is taken from the dense area of hair and placed into the areas where hair has been lost. Micro-transplant surgery takes a strip from the back of the head which is then stitched; it heals so that it is virtually unseen and then transplanted. Hair restoration surgery is usually done on men, not on women. One can consider laser treatment, which may stimulate hair growth by increasing blood flow to hair follicles. For more information about hair fall treatment, where hair transplant surgery is available, cost of hair transplant surgery; See Here. FUE hair transplant is more delicate and complicated hair transplant technique than FUT, but when it comes to the result, you could say it’s worth the wait and the pain. Dear Toufiq, Very nice and scientific reason you have mentioned about the hair loss and how to regain it. I have read your article and will follow you for more information in future. How many cost in hair transplant…..